The Golf Club of Noranda. 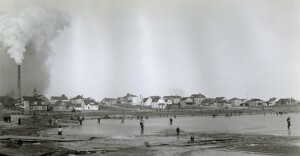 In the early years of the mining towns of Rouyn and Noranda, people had to work hard and live in difficult conditions. It is especially true for men who worked in the depths of the Earth-although it was also hard for the entire population of the sister cities. On top of working in hellish conditions, the inhabitants of Rouyn and Noranda had very few ways to enjoy themselves at first. However, the facilities needed for leisure were quickly established in the two cities. Skaters on the iced-over Osisko Lake. In the summertime, bathing, fishing and boating were very popular on the three nearby lakes: Édouard Lake, Noranda, and Tremoy Lake (now known as Osisko Lake). In the wintertime, snow would be cleared so that people could ice skate. An outdoor pool was built behind the St-Michel rectory and in 1930, a nine-hole golf course was opened in Noranda. Artificial ice rinks were also installed. In Rouyn, the ice rink being maintained was located close to the St-Michel School. From 1926, a local Hockey league was organized wherein four teams competed. 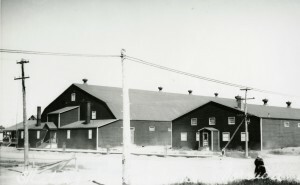 The first arena of the area was built in 1926 on the 2nd Avenue (now known as Murdoch) in Noranda. Hockey teams quickly began to emerge in the sister cities. From that moment on, a local team, The Copper Kings of Noranda, joined an Ontario league. View of the arena and the Noranda Curling Club. 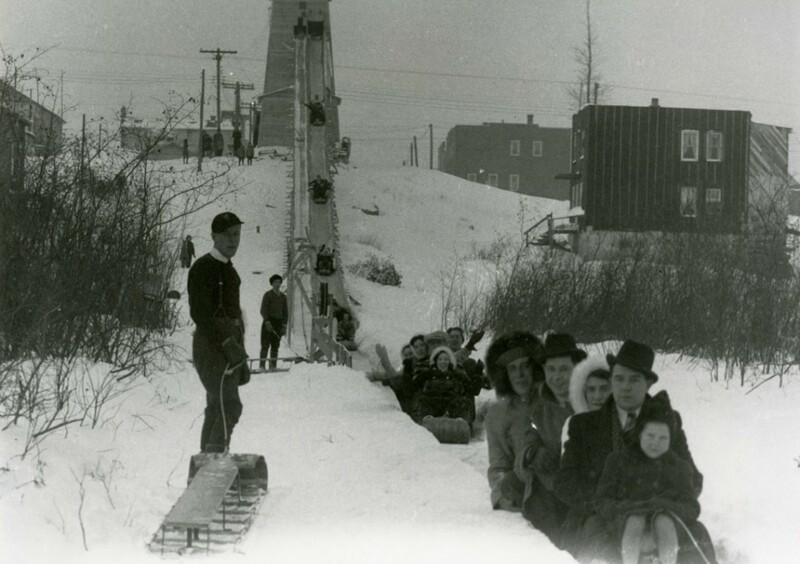 In 1926, a slide was set up by the Osisko Lake, on Du Lac St. and Mgr Tessier. This slide would have been a hundred feet high according to what a Copper-Gold Era journalist said, maybe exaggerating. In 1941, another slide was set up down Principale St. or du Portage towards Édouard Lake. A slide towards Edouard Lake in 1941. Annette Lacasse-Gauthier, Héros sans panache tome 3, Montréal, Maxime, 1999, p. 213 to 228. Odette Vincent, dir., Histoire de l’Abitibi-Témiscamingue, Québec, IQRC, 1995, p. 386 to 191.